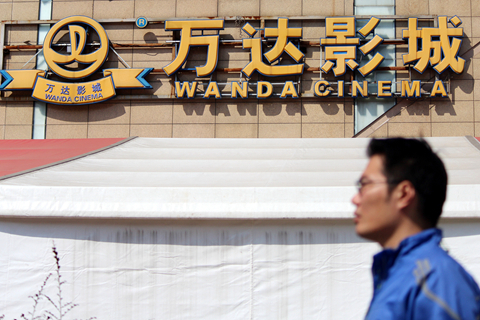 Wanda Film Holding Co. Ltd., the conglomerate’s cinema chain, said in a statement Monday that a state-owned shareholder of the film studio Wanda Media would no longer participate in the asset-restructuring plan. The state-owned enterprise is based in the coastal city Qingdao. Founded in 2009, Wanda Film is China’s largest cinema chain operator, with 516 theaters and 4,571 screens. It controlled 14% of the country’s box office market at the end of 2017. Under the modified deal, Wanda Film will acquire 95.7683% of Wanda Media from shareholders for 10.5 billion yuan ($1.55 billion), down from 96.83% for 11.6 billion yuan under its previously proposed deal announced last June. In addition, the transaction will be solely for stock rather than cash and shares as originally proposed. The dropout shareholder is Qingdao West Coast Cultural Industry Investment Co. Ltd., a wholly owned subsidiary of Qingdao West Coast Development (Group) Co. Ltd., which is wholly owned by Qingdao State-owned Assets Supervision and Administration Commission. Qingdao West Coast owns a 1.0579% stake in Wanda Media. 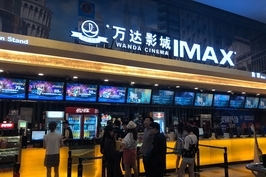 Wanda Film said Qingdao West Coast dropped out of the restructuring plan because it failed to obtain approval from its state-owned assets supervisor. Qingdao West had opposed a capital reduction proposal by Wanda Media in August 2017, which would lower the company’s valuation to 12 billion yuan from 16 billion yuan. Eventually, the Wanda proposal was approved with support of other shareholders. The deal aims to consolidate the group’s cinema operations and content production under one roof. But California-based Legendary Entertainment — which Wanda Group acquired in early 2016 — was not included in the deal. Wanda Media has produced a number of box-office successes, including “Detective Chinatown 2,” raking in 3.4 billion yuan last year. According to an asset assessment report, the estimated value of Wanda Media was 11 billion yuan as of July 31, 2018, about 31% lower than the 16 billion yuan at which Wanda Media was valued in a private equity financing in 2016. Wanda Film said the lower valuation aimed to benefit its medium and smaller shareholders. The Shenzhen-listed company also said the underlying assets of Wanda Media are of high quality with relatively stable earnings and the deal would guarantee the interests of the listed company and its investors. 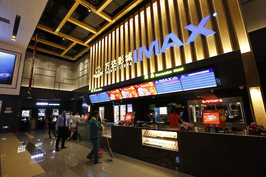 But Wanda Film expects Wanda Media’s box office revenue growth to cool in 2019, partly because the studio would participate in only one blockbuster movie this year, and most of the other movies would be smaller productions. Wanda Film has said it expected its 2018 profit to decrease 9% to 15% to 1.36 billion to 1.67 billion yuan.